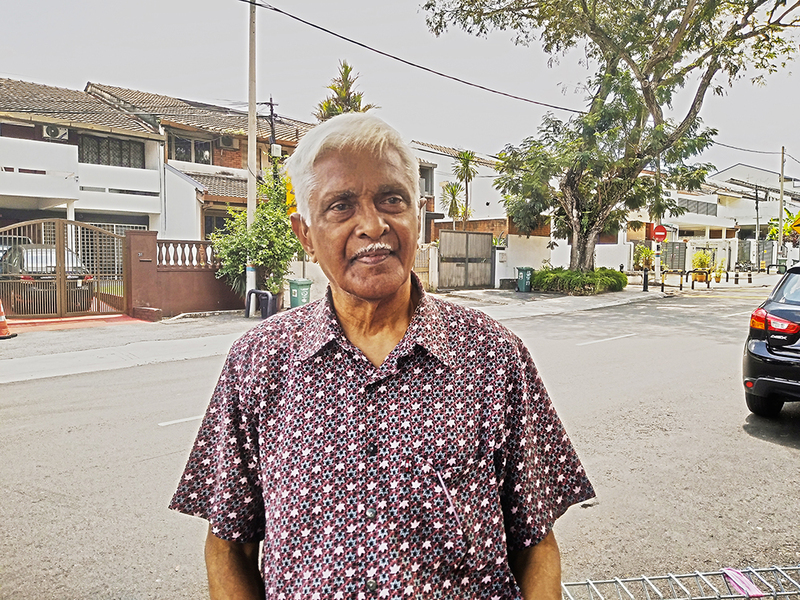 SEVERAL months ago, Datuk George Joseph gave up defending the rights of his fellow residents. But following the May 9 general election, the Bangsar Baru residents’ association president has become fiercer than ever. “Any development plans must be stopped. The land should be returned to the people,” said Joseph, referring to a 0.2 ha piece of land on Jalan Maarof orginally earmarked as an open space. Joseph and his residents’ association members are not the only ones motivated to defend what belongs to the people. Pakatan Harapan’s historic win in the 14th general election has made Kuala Lumpur ratepayers eager to reclaim what is rightfully theirs. Residents’ associations across the city have been holding town hall meetings and dialogue sessions in recent days, hoping to gain support in their quest for justice. Joseph wants City Hall to return the open space to the people. Frustrated by the authorities’ inaction in the past, communities are demanding “bad decisions” be reviewed. The controversial land in Bangsar that Joseph was referring to was surrendered by developers of Bangsar Baru, Eng Lian Enterprise Sdn Bhd, to City Hall in 1977 as part of the development order set by the council. Residents claim the land, valued at RM17 million in 2008, has since changed hands. City Hall has now approved an application to build a four-storey commercial building there. Stakeholders say the delay in finalising and gazetting the Kuala Lumpur City Plan 2020 has contributed to a host of land-related issues in the federal capital. The Bangsar Baru residents’ association has written to the Malaysian Anti-Corruption Commission, hoping to uncover those who robbed them of their open space. Former Federal Territories Minister Datuk Seri Tengku Adnan Tengku Mansor previously said the city plan, revealed in 2008, would never be gazetted in its current form as it would not be sufficient to spur economic growth. Medan Damansara residents also want Kuala Lumpur City Hall to halt a 1.3km elevated highway project which cost RM211 million. The residents’ association liaison officer Peter Raiappan was baffled why the government was spending RM200 million on a project that would benefit the commercial areas of Pusat Bandar Damansara, specifically Pavilion Damansara Heights. 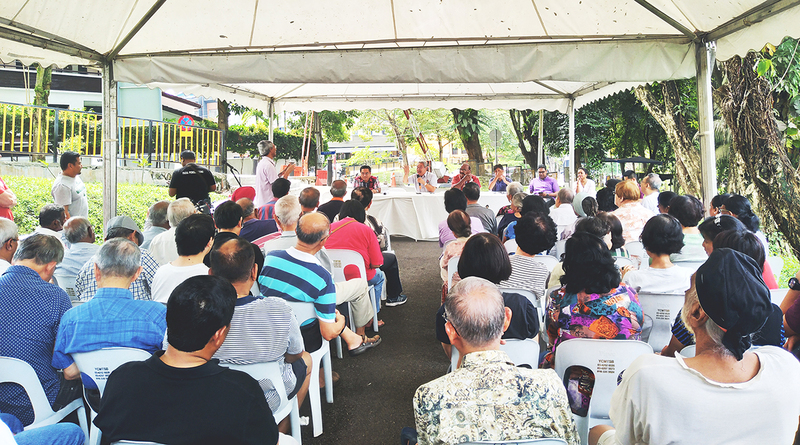 Medan Damansara residents’ association held a dialogue last weekend to get authorities to halt an elevated highway project in their neighbourhood. “UKAS (government’s Public-Private Partnership Unit) is forking out RM66 million while City Hall is paying RM134 million,” said Raiappan. Association president G. Seenivasagam said: “We learnt about the project in early March and there were reports the project was approved later that month. In Taman Tun Dr Ismail, residents are battling with City Hall over a mega-development plan in Taman Bukit Kiara. They hope for a fair hearing when their case is heard in court next month. A 12-acre piece of land was carved out from the existing 25-acre park to build eight high-end condominium blocks and 350 units of affordable homes. The land was transferred to a private developer in 2014 by Yayasan Wilayah Persekutuan, whose chairman is Tengku Adnan. Tengku Adnan recently said the foundation had nothing to do with the land transfer and he had no knowledge of the matter. There’s a similar uprising in Taman Desa. Their beef is also with Yayasan Wilayah Persekutuan – alleging the foundation is involved in land grabs in their neighbourhood. Taman Desa residents now plan to send a memorandum to Prime Minister Tun Dr Mahathir Mohamad, hoping it will halt these controversial developments. Protect Taman Desa Coalition media coordinator M. Gunasekar said they had lodged a report with MACC last week urging the body to investigate Tengku Adnan for alleged corruption after discovering two parcels of land – gazetted and designated for a community centre, a park and public library in Taman Desa – had been transferred to private developers for the development of posh condominiums and affordable homes. Segambut MP Hannah Yeoh and Kepong MP Lim Lip Eng, had on May 16, lodged reports with MACC urging the body to investigate Yayasan Wilayah Persekutuan for the sale of 64 parcels of land worth RM4.28 billion since 2013. Another MACC report is expected to be lodged by Taman Tiara Titiwangsa residents later this week over another alleged land grab by Yayasan Wilayah Persekutuan. The residents’ association committee member Sylvester Navaratnam said this was the second time the residents were lodging a report to the anti-graft body. “The MACC marked our previous report in 2017 as NFA (no further action) but we will continue to pursue the matter. Sylvester said the land in question was owned by Yayasan Wilayah Persekutuan. Those sitting in the board of trustees of the foundation include Tengku Adnan, his then deputy minister Datuk J. Loga Bala Mohan, the ministry’s secretary-general Datuk Seri Adnan Md Ikshan and Kuala Lumpur Mayor Tan Sri Mhd Nordin Abd Aziz. A Companies Commission of Malaysia search revealed the trustees were among the directors of the foundation. Save Kuala Lumpur deputy chairman Datuk Mumtaz Ali said the coalition of over 50 residents’ association will continue to push for an elected mayor, more green spaces, to review and gazette the city plan and ensure effective engagement with the people before projects are approved.